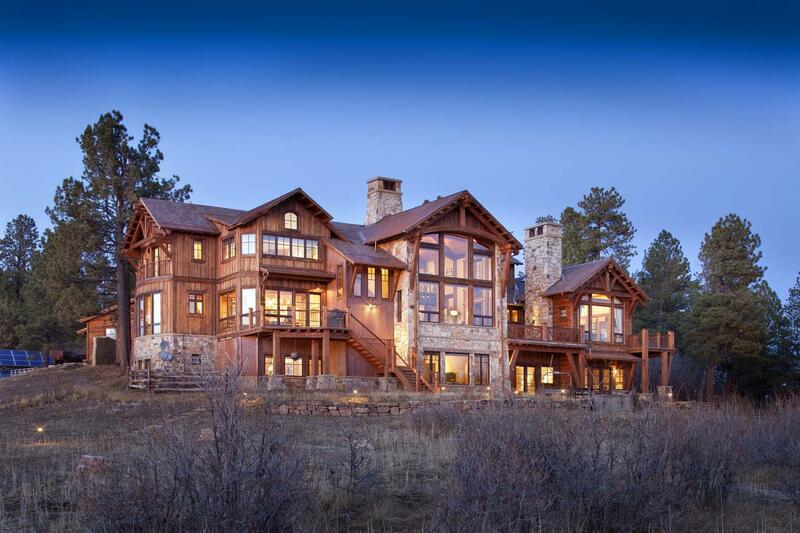 A Multi-million-dollar home located in Telluride Colorado. This grand home featured a timber open concept structure with mining elements used as part of the structural design. The structural systems of this house are generally exposed and help to create the architectural style. Utilizing natural materials and site mined stone, the architect expressed his vision and we, the structural engineer, were able to match our structure to his intent and be a part of a true masterpiece. Everything shown in this series of pictures, which illustrates the features of the great room, was designed and detailed are M&L’s drawings. The bridge over the great room is made from old mining carts welded to a tube steel bridge frame.